at their inception, tennis seemed to be everywhere all at once. the denver indie-pop trio, centered around husband and wife tandem patrick riley and alaina moore, quickly churned out two excellent full-length albums over the span of about a year. but then they clammed up. aside from an excellent cover of television’s “guiding light,” let go around last christmas, the band was holed up somewhere writing new material and largely avoiding contact with the outside world. the result of this hermitic behavior is small sound, an excellent five-song ep that serves as a precursor to a third album due sometime in the near future. “mean streets,” the ep’s opening track and lead single, feels like a throwback to something that would have been written in between cape dory and young & old; the nautical-romance aesthetic reappears, but it’s supplemented by the more conscientious songwriting that permeated tennis’ second album. the subsequent song, “timothy,” throws the car even further in reverse. the jangly guitar intro sets up a drum beat and vocal line that may just be the band’s most delightful ever. it’s completely reminiscent of the innocent love that spawned cape dory, yet the sheer length of the song and its fully-developed bridge suggest that tennis is adding mature nuances to a familiar palate. maybe that’s why the rest of small sound surprises me so much. after hinting that they wouldn’t step too far outside their comfort zone with the first two tracks, tennis gets funky on “cured of youth.” like syncopated horn-line funky. if the sounds of mid-1960s pop was their calling card before, tennis begins to embrace more attributes of the latter part of that decade throughout small sound. “dimming light” is a slow-burning, r&b-laced song with an assertive vocal hook on the chorus accompanied by an acoustic piano, while closing number “100 lovers” dials up a bit of funk one more time. 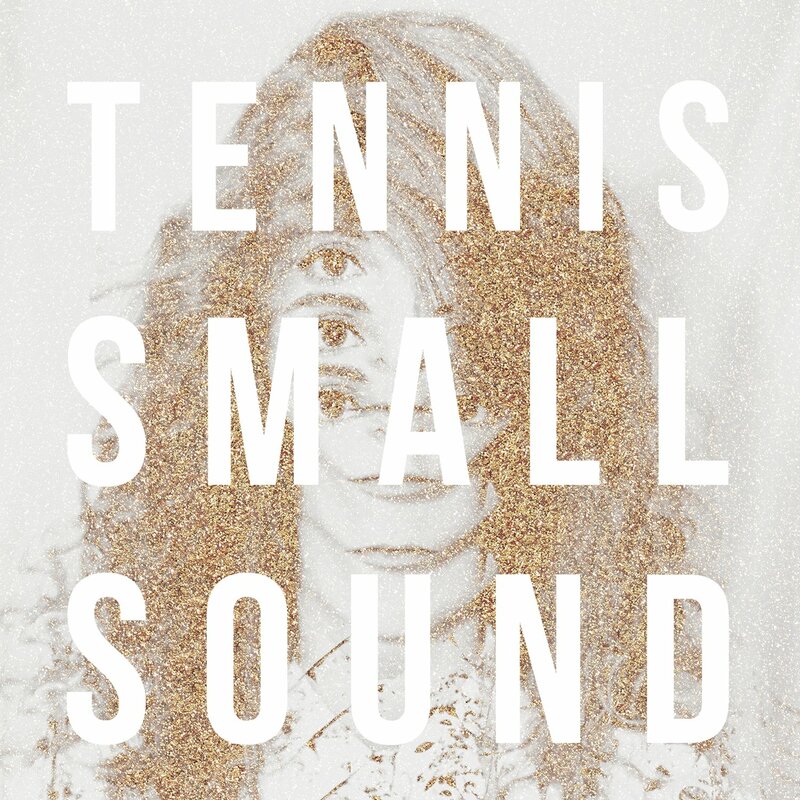 considering i wasn’t expecting anything from tennis until 2014, small sound is a pleasant surprise. hopefully this foray into uncharted waters isn’t a one-off experiment, because i’d love to hear more of it on their next full-length. for now, i’ll just sit back and wait for my 10″ of small sound to come in the mail, and then spin it a bunch of times in a row because it’s that good. such a good little ep. i’d definitely recommend spinning it if you haven’t yet!